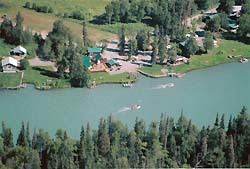 The Kenai River... Home of the world's largest King Salmon and one of Alaska's most exciting rivers for sport fishermen. 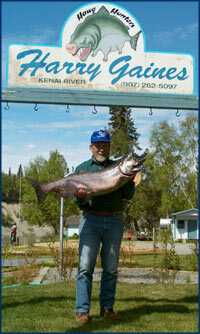 The dreams of anglers the world over have come true when the Kings run. Particular and feisty as the giant Kings are, you will need an experienced guide and the best equipment to land one when you cry, "FISH ON!"